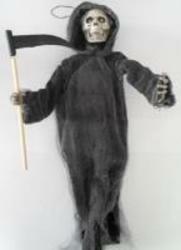 Halloween Party Decor for sale @ Wholesale prices. Halloween Costumes, Halloween Masks, Halloween Decor, Halloween Face Paints and Tattoos, Halloween Dress up, Halloween Balloons, Halloween Event Decor and many more. Please contact us at sales@promocoza.co.za. Tel: 0824365547 to view our full Halloween Catalogue.